Item # 282763 Stash Points: 499 (?) This is the number of points you get in The Zumiez Stash for purchasing this item. Stash points are redeemable for exclusive rewards only available to Zumiez Stash members. To redeem your points check out the rewards catalog on thestash.zumiez.com. 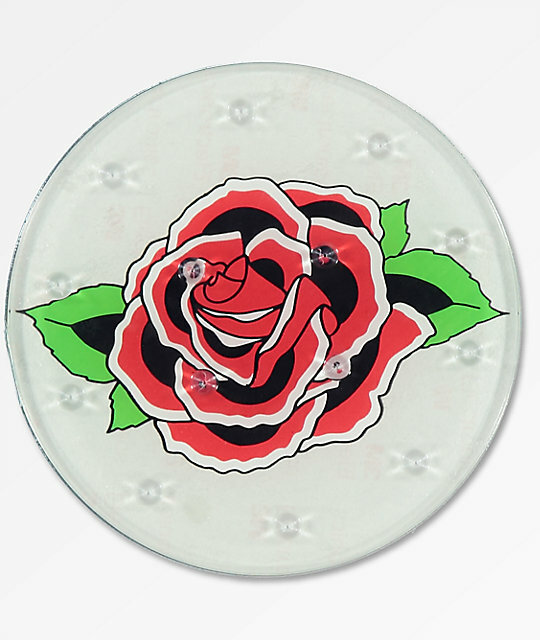 Add a delicate touch to your shredding style with the Rose stomp pad from Alibi. Easy and secure application makes this a trusted spot for your loose foot. Clear plastic with Alibi rose graphic. Sharp spike moldings for grip.